Jigsaw, the British fashion retailer, has appointed Publicis London to its ad account. The move came after a pitch process overseen by Jigsaw's chief executive, Des Swan. It marks the first time that the brand has appointed an agency to its advertising. Previously, Jigsaw's in-house creative team was responsible for handling its marketing, which generally consisted of press, digital and outdoor activity. Last year, the brand rolled out a press campaign with images shot by Bryan Adams, the Canadian rock star who pursues a sideline as a fashion photographer. 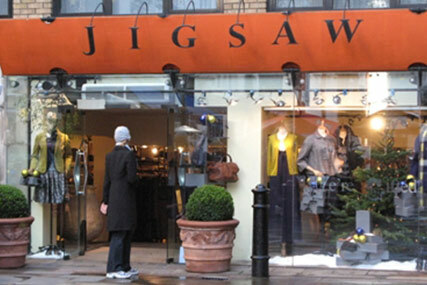 Publicis London's first task for Jigsaw will be to handle an integrated advertising campaign to promote the retailer's autumn/winter collection later this year. The agency will also be responsible for all in-store activation activity. Last summer, Jigsaw appointed Eden, the media agency launched by Adam & Eve and the7stars, to handle its comms planning and media buying account.